You have to earn your title if you want to be referred to as The UK’s Leading Technical Experts in Standby Power, Uninterruptible Power Supplies and Combined Heat & Power Systems. 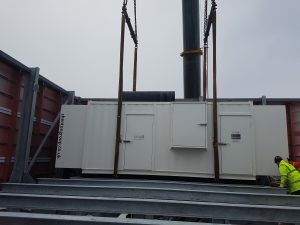 So when it comes to installing backup generators in the thick of the country’s capital, meticulous testing, planning and safety needs to be factored into every stage of the project. 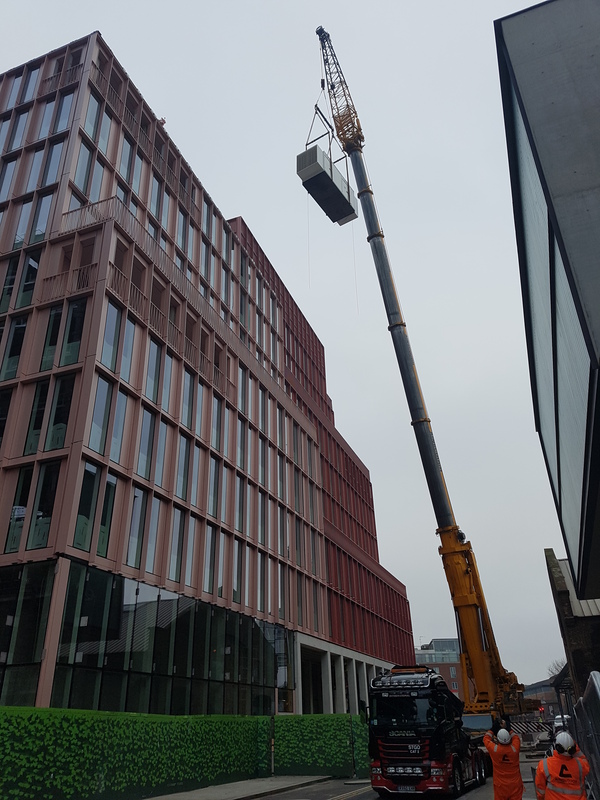 Extensively tested at Shenton House in Andover prior to shipping and installation, shentongroup recently delivered a PHG880Pes backup generator to the busy Kings Cross complex, just off Granary Road, London. The entire project through to shipping and installation was managed with military precision. 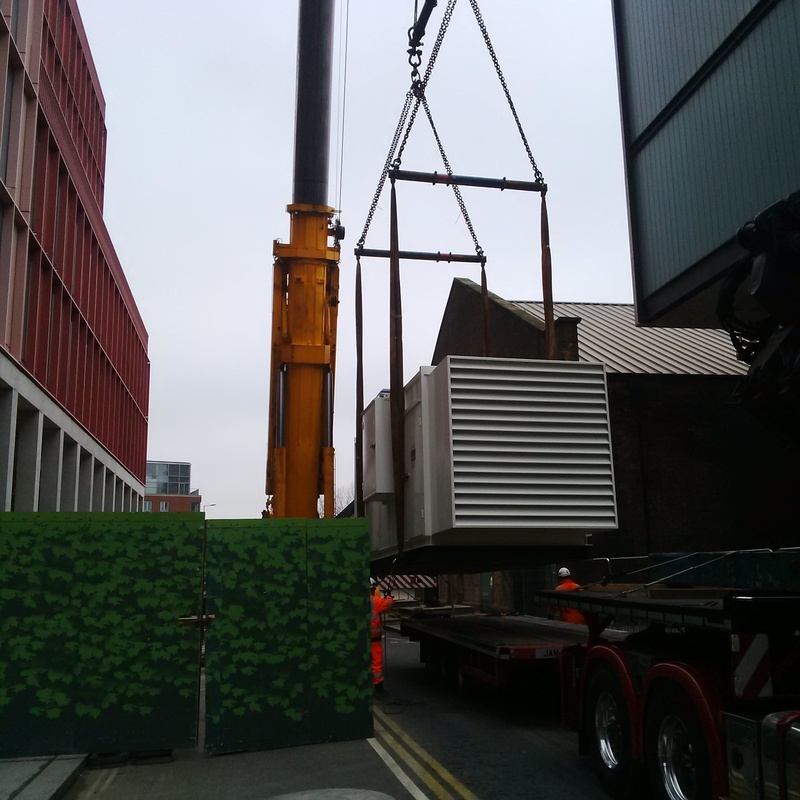 As the accompanying images demonstrate, shentongroup Project Manager James Norman and team managed delivery of the PHG880Pes generator into place, in the vicinity of one of the country’s busiest stations. 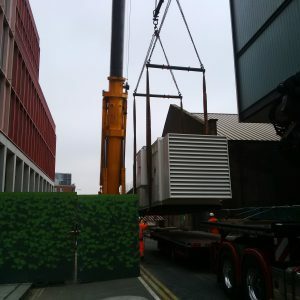 And because this backup generator will operate in such a highly populated area, the 880kVA system features a bespoke attenuated canopy for 82 dBa at 1 metre. Complete with 1200L base fuel tank, this backup generator guarantees our client the continuous power they need to keep fully operational in the face of mains power failure. James was supported by a sterling team of shentongroup experts comprising; Steve Mentor, Steve Smith, Alex Edmunds, Julian Barry and Steve Rawlins. For more information on how shentongroup provides organisations throughout the UK with industry-leading continuous power solutions, no matter how remote or built-up an area, click here to get in touch.